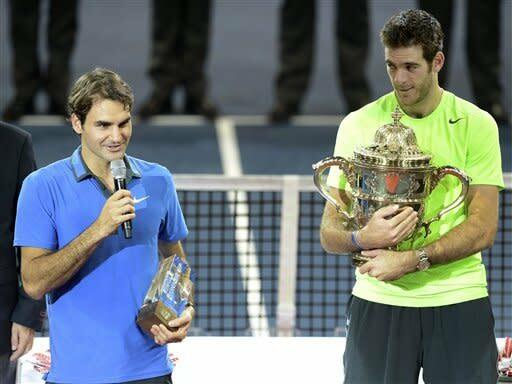 BASEL, Switzerland (AP) -- Juan Martin del Potro took Roger Federer's Swiss Indoors title on Sunday, beating the hometown favorite 6-4, 6-7 (5), 7-6 (3) in the final. Federer later pulled out of his defense of the Paris Masters, which starts Monday, to rest and prepare for the ATP World Tour Finals in London the following week. 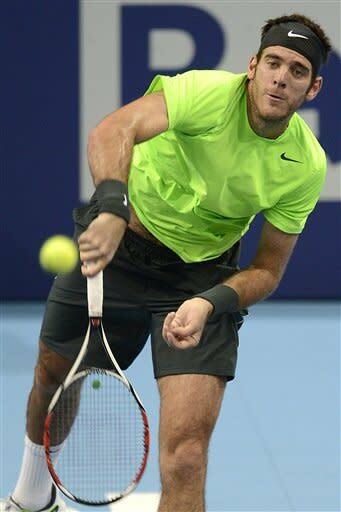 ''This time it was for me,'' said Del Potro, who improved to 3-13 lifetime against Federer. The first of those victories was in the 2009 final at Flushing Meadows. The 24-year-old Argentine won for the second straight week after taking the Vienna title. His fourth title of the season is the 13th of his career. Del Potro's victory came in 2 hours, 44 minutes compared to his 4-hour, 26-minute defeat at the London Olympics -the longest three-set match in history - when Federer won the decider 19-17 on Centre Court the All England Club. As he did at Roland Garros and the Olympics, Del Potro took the first set, breaking Federer's serve in the fifth game. Federer struggled briefly with his ground strokes, netting two forehands and a backhand to give Del Potro the lead. Facing break point, Federer struck a forehand crosscourt winner then saw Del Potro slip up by netting a sliced backhand on the next point. Federer controlled the tiebreaker and punched the air when he evened the match, as Del Potro let a backhand drift wide. 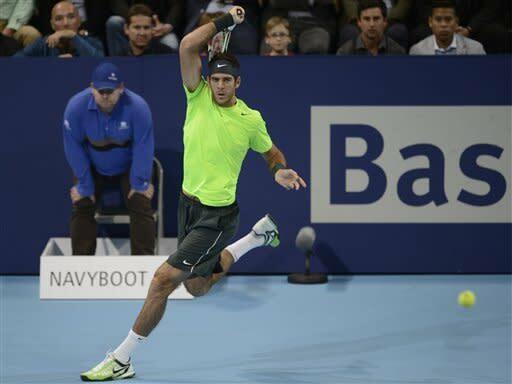 Federer held three break points at 1-1 in the third, but Del Potro saved them before firing an ace to win the game. 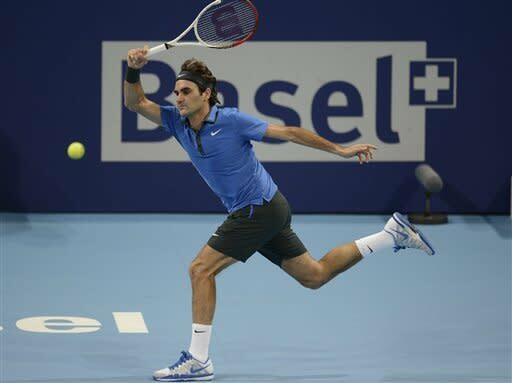 A wild Federer forehand let another break chance slip in the seventh game, which Del Potro clinched with another ace. ''He was playing really at the limits, and that is the way to win these matches,'' said Del Potro, who will likely remain No. 8 when the rankings are updated Monday. Federer then struck three straight aces when threatened at 6-5 down to force another tiebreaker. Del Potro seized his chance after Federer netted a topspin forehand, and clinched his first match-point chance on another wayward forehand from the top-seeded Swiss.